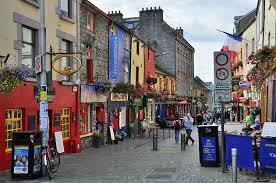 Every year, we try to get to Galway for a week to work on new material and write some tunes. This year, 2018, we’ll be in Furbo, just outside Galway City, from Sat 25 August to Friday 31 August. We’ll be adding some gigs to the calendar for that week, so check back later… or you might find us busking on Shop Street in the evenings… guaranteed to be great craic!